Hi everyone! Spring has sprung! With Easter just around the corner and summer not far behind, my thoughts have turned to my squishy waistline. With fresh fruits and veggies coming into season, I decided to dust off the Nutribullet and make a few healthy smoothies. 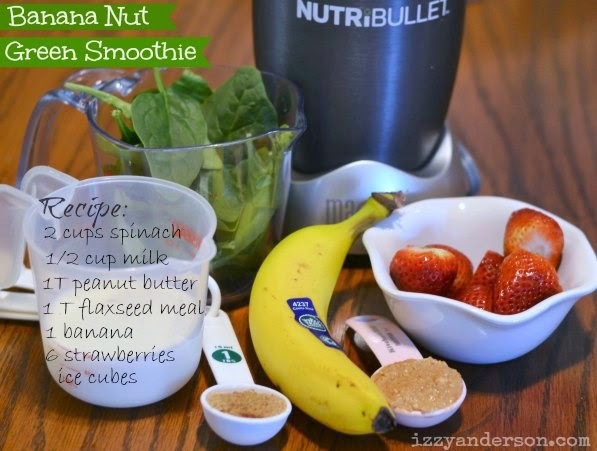 One of my favorite smoothies to make is one I call Banana Nut. It's full of healthy ingredients but tastes like a banana peanut butter milkshake. Even Elvis would approve. I promise! The smoothie has 2 cups of spinach, but has no spinach taste at all. The flavors of the peanut butter (boosted by flaxseed meal) and banana really win out. 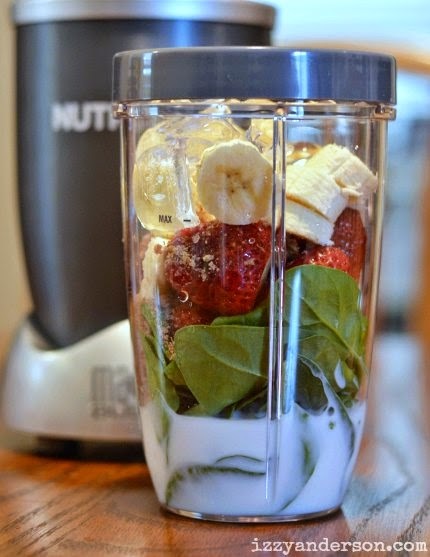 Layer ingredients in a blender. I added mine in the order of the recipe. One tip: be sure to add the peanut butter somewhere in the middle. Otherwise, it may stick to the blender sides. 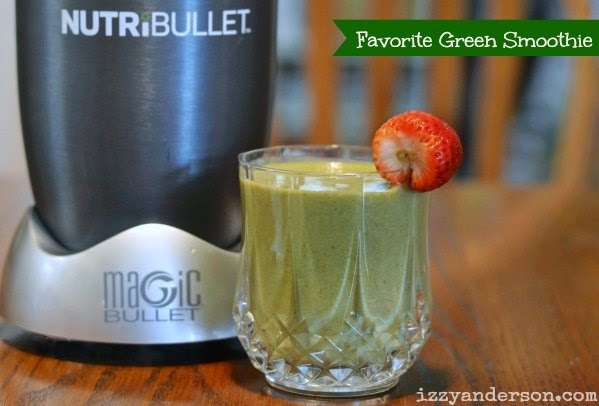 If using a Nutribullet, be careful that your liquid does not exceed the max line. It's OK if the fruit/veggies do. This sounds so good. I wonder if I could sneak it past Tom and Alexa since they're going to wonder what's up with the green color. Ours are usually on the pink side from strawberries. LOL! I love smoothies. I don't like bananas though, so I have to have something to drown them out. Oranges or strawberries are my go-tos. This is great! I need to add this to my smoothie recipes! :) Thank you for sharing this!